...and since we're speaking of Fort Monroe, my hackles were forced up by this, the first sign that one sees within Fort Adams: Fort Adams, the largest seacoast fort in the United States at a staggering 871,200 square feet. Look, see how America's other noteworthy forts, Fort McHenry, Fort Sumter and Fort Ticonderoga could all nestle comfortably inside Fort Adams! The one word that is never uttered at Fort Adams is "Monroe." Because Fort Monroe is undoubtedly bigger than Fort Adams. At the end of our tour, I asked Mike, our guide, if he would strike me if I mentioned Fort Monroe? He immediately said that Fort Adams is the largest seacoast fortification with salt water all the way around it. Huh?? I could claim that the ashtray-sized model of the Castillo de San Marcos I picked up at the Castillo's gift shop is the largest fortification in the US, as long as I added the qualifier, that is currently residing atop my television set. 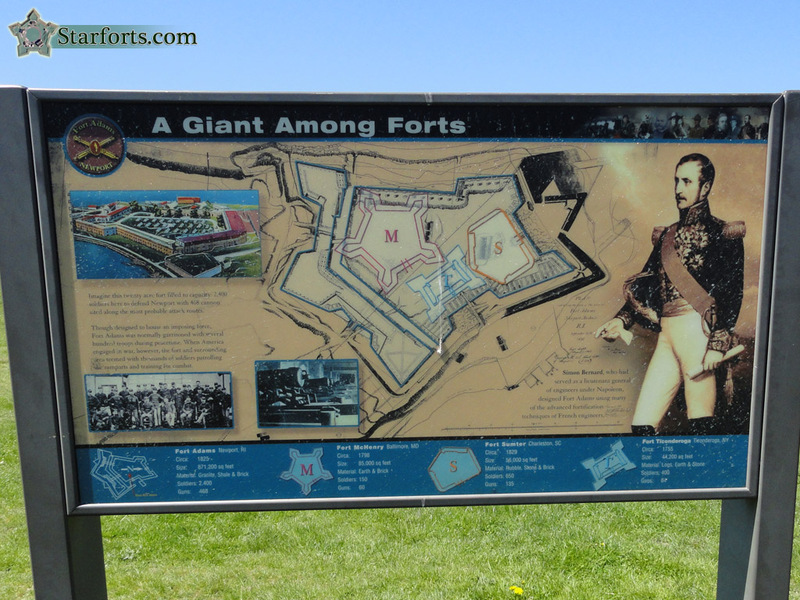 Your starfort may have been more honorably constructed, Newport, but it is not the largest in the US.